Our value bundles provide you with an inbound call answering service based on your organisation's needs. Are hold times too long during peak times? Want to have a staff meeting but worried you’ll miss out on important customers? You can set up a OneContact service bundle for as little as $100 a month, providing the peace of mind that all calls will be answered promptly and effectively by one of our professional local agents. We can forward the call to you, or send you an email with the caller’s details. Different service bundles are available depending on the size and specific requirements of your business. A cost-effective way to handle a small call volume without hiring a full-time employee. The Value Bundle offers a full suite of services that include building FAQs for our customer service team, data capture, and access to your own Dashboard login – offering you Total Transparency to your campaigns. Ideal for a small organisation looking to save money and maximise productivity. Offering more minutes than the Value Bundle with all the benefits, the Premium Bundle is perfect for mid-tiered organisations on the rise. Your calls will be answered by our friendly and professional staff, along with full call recordings, data capture and access to our Dashboard. 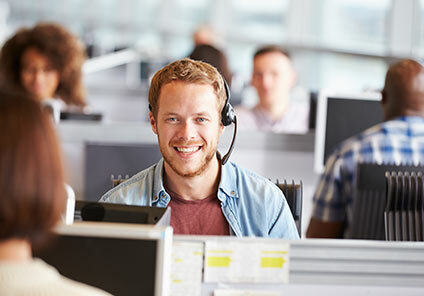 Everything you could ever need from a call answering service. OneContact will provide you with a one-stop call centre solution, with the added perk of bespoke reporting, plus all the benefits of the Value and Premium Bundles. Suitable for established organisations with a steady call volume. We offer bespoke solutions for larger organisations – speak to us today and we can offer you services that meet your business’ needs.